Performs Security post and CW assessment on a periodic basis and recommend improvements to the Site Security. Assessment/Audit includes all posts, Security officers� knowledge of security processes, physical and system security controls, doors and alarm audits. - Responsible for supervising the activities of product teams or staff in a manufacturing area. - Assesses personnel and material levels to determine production schedules. - Assigns personnel and monitors the flow of work in process through the manufacturing facility. Job Description: Manage day to day capital activities which include - project setup, settlement of projects, depreciation forecast, invoice payments, CPA give backs and reconciliation to ensure compliance with CMP requirements. These activities would require close partnership with the respective CEA and project team. - Responsible for identifying and researching component failures to improve product yield, quality and/or reliability. - Evaluates the electrical and mechanical characteristics of integrated circuits, components, sub-components, and systems to determine the root cause of failure. - Analyzes failure reports and recommends corrective action to prevent reoccurrence of problems. In this position, you will be responsible for managing facilities project and small construction projects, including Fit-out, Mechanical, Electrical, Gas, Chemical, Plumbing, Access control, Building automation systems and furniture supply works. 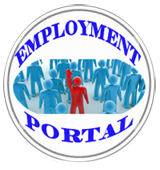 Assists senior personnel at the business level in the interpretation and management of HR data. Conducts internal and external research and benchmarking for organizational improvement. Develops, implements, and manages data gathering and analysis processes including indicators and reports. Job Description: Manufacturing Technicians perform functions associated with all wafer production including operations, equipments, process and training. Collects and evaluates operating data to conduct on-line equipment adjustment and ensure process optimization. Responsible for running lots in a qualitative way. Job Description: Designs, organizes, and delivers technical training classes for developing optimal utilization of employees. Develops tests and visual aids, coordinates class arrangements, and develops criteria for evaluating effectiveness of technical training activities. Works closely with Engineers and Supervisors to develop and deliver technical training that meets the needs of the factory. Job Description: Planning analyst is responsible for planning ownership of a supply chain link. Responsibilities may include development, integration, optimization, coordination, communication and driving execution of engineering/production planning schedules, forecasts, materials, build plan & capacity requirements, and business and inventory strategies to meet business and customer requirements in collaboration with cross organizational supply chain stakeholders. Manufacturing Technicians perform functions associated with all wafer production including operations, equipments, process and training. Collects and evaluates operating data to conduct on-line equipment adjustment and ensure process optimization. Responsible for running lots in a qualitative way. Job Description: Responsible for supervising the activities of product teams or staff in a manufacturing area. Assesses personnel and material levels to determine production schedules. Assigns personnel and monitors the flow of work in process through the manufacturing facility. Job Description: Manufacturing Technicians perform functions associated with all wafer production including operations, equipments, process and training. Collects and evaluates operating data to conduct on-line equipment adjustment and ensure process optimization. We are seeking a qualified/highly motivated intern for our Sales and Marketing Department (SMG) in Benelux. This position involves technical/pre-sales consultancy work that support our enterprise/business2business accounts in Belgium, Netherlands and Luxembourg. The newly established ExaScience Lab is a research partnership between Intel, five Belgian (Flemish) universities and the imec research institute, and brings together researchers in physics, numerical solvers and parallel programming, architectural simulation and modeling, and visualization. working in the Brussels office of Intel Corporation on projects relating to specific EU policies and regulation [such as environment]. The ideal candidate should have a degree/post-graduate degree in a relevant discipline such as European/international affairs, political studies. The successful candidate will be joining the Atom Operating System (OS) Customer Marketing team in Intel's System Software Marketing group. This team drives customer adoption of Atom OSs and coordinates messaging in customer engagement, being the primary face to the OEMs and services providers. This is a commissioned sales position. Responsible for giving product presentations to the customer describing how Intel products provide the optimum solution to their application. The Automotive Applications Engineer will be (and initially within an intact team of stakeholders) responsible for driving the architectural design discussions with our key Car T1 customers and Car OEMs in Europe and together with colleagues across various business groups within Intel across Europe Middle East & Africa (EMEA).